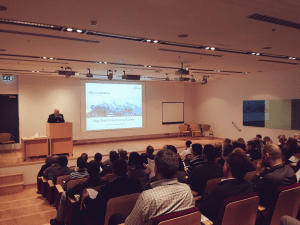 Thank you, all presenters and participants who attended our Open Conference on Deep Roots of Geothermal Systems (DRG) on Thursday, February 18 and Friday, February 19, 2016, at Reykjavik Energy in Iceland! We enjoyed meeting each and every one of you, and we hope that you found the conference informative and worthwhile. The conference was focused on geothermal systems with emphasis on opportunities that lies in identifying, modelling and capturing the enormous amounts of energy that can be found in the roots of the geothermal systems. We believe that diverse and dynamic group of speakers and panellist provided in-depth inside and empower ideas.